Posted on October 17, 2014	by Katy K.
A couple of years ago, my friend Dr. M. and I started reading every retelling of “The Twelve Dancing Princesses” that we could get our hands on. It turns out we weren’t the only ones finding this interesting – my blogging friend Cheryl from Tales of the Marvelous has just published her own retelling, The Storyteller and her Sisters. I’m looking forward to reading it as I very much enjoyed her last book, The Wanderers. (Here’s my interview with her about The Wanderers.) She’s here today to talk about her favorite retellings – including a short story I haven’t read myself! I’ve always loved fairy tales, in part because they usually don’t make a bit of sense! It makes them so ripe for retellings: stories that can pick apart those pieces that didn’t add up, and spin a new story around them. My latest book, The Storyteller and Her Sisters, is based on a fairly obscure Brothers Grimm story, “The Shoes That Were Danced to Pieces (or The Twelve Dancing Princesses).” Though most people don’t seem to be familiar with the story, there are quite a few retellings—but I think I have a unique angle on it! When Katy offered me an opportunity to do a guest post, I thought it would be fun to share some of my favorite retellings of what has become one of my favorite fairy tales. The basic story is about twelve princesses who are wearing out their dancing slippers every night, even though they’re locked in their bedroom. Their father the king puts out a call for champions to solve the mystery. We eventually learn that the princesses are secretly leaving their chamber, passing through a magic forest of silver, gold and diamonds, and crossing a lake to a castle where they dance with twelve princes. And from that premise, many variations have arisen! Wildwood Dancing by Juliet Marillier was one of my first retellings, although a very loose one. It’s about five sisters (not princesses) who go dancing at a fairy court that’s not as terrible as in most versions. This is one of my favorites, because it gives us a wonderful heroine in Jena. All five of the girls are fully realized characters, and they’re certainly not waiting around helplessly for a champion to rescue them. It also helps that this features one of my favorite love stories. Princess of the Midnight Ball by Jessica Day George is a much closer retelling. It does better than most at developing the relationship between the final champion and the oldest princess–and I rather love that the hero is brave and strong and also knows how to knit (soldiers have to get socks from somewhere!) It also has some of the best-depicted princesses. Even though there are twelve of them, George makes it easier than in most retellings to keep them apart. She puts the most attention on just a few, and when others appear, it’s usually clear in the moment who they are. For example, Poppy is the boisterous one, and it was no effort to remember that because she’s always being boisterous whenever we see her. The Twelve Dancing Princesses by Marianna Meyer and illustrated by Kinuko Y. Craft is a very beautiful picture book. It’s a pretty accurate retelling without doing anything too excitingly different—but the illustrations are exquisite. Especially some of the pictures of the princesses in their gowns, and the magical settings. Troll’s Eye View is a collection of short stories, including “The Shoes That Were Danced to Pieces” by Ellen Kushner. Mostly pretty light and silly, this captured better than any other version how annoying it could actually be to have eleven younger sisters! The princesses are universally devoted to each other in other versions, and it was fun to see an oldest princess who finds her clamoring crowd of sisters overwhelming. These are my favorite retellings, though I’ve read five others as well. One trend I’ve noticed is that, almost universally, the princesses’ father is well-meaning (or at worst, aloof or unaware) and the princes the girls dance with have ill-intent. But when I read the original Brothers Grimm, I’m not convinced that’s really how the story goes…so my unique angle took rather a different direction. I recommend all of the books above—and of course I recommend mine too! Cheryl Mahoney is a book blogger at Tales of the Marvelous, and the author of two books based on fairy tales. 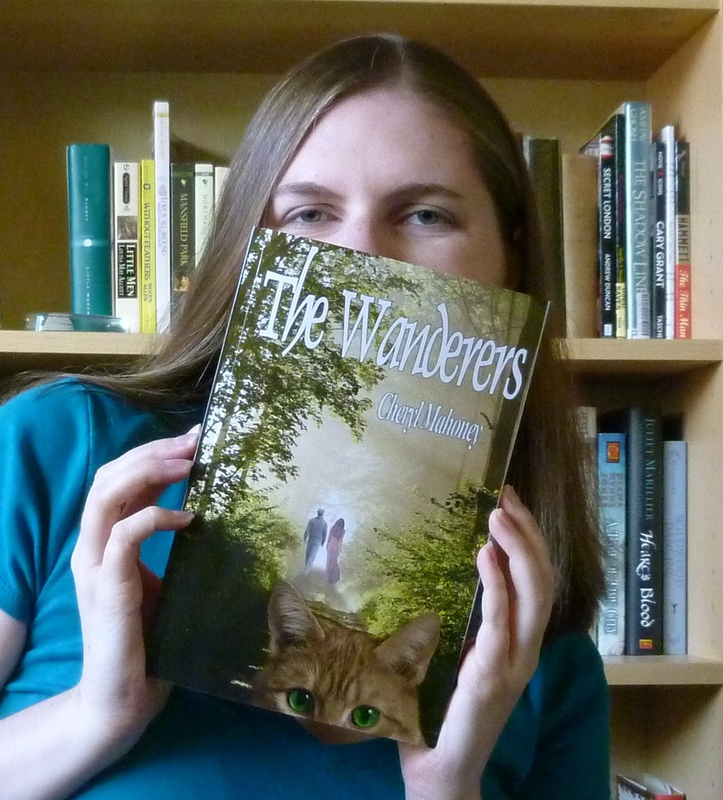 The Wanderers, published in 2013, follows the journeys of a wandering adventurer, a talking cat and a witch’s daughter. Her new novel, The Storyteller and Her Sisters, retells “The Shoes That Were Danced to Pieces,” with twelve trapped princesses who decided to take control of their story. The Twelve Dancing Princesses was one of my favourite stories when I was child. I am looking forward to reading The Storyteller and her Sisters as it will be my first re-imagining of the story. Thanks for visiting! I hope you enjoy The Storyteller and her Sisters!